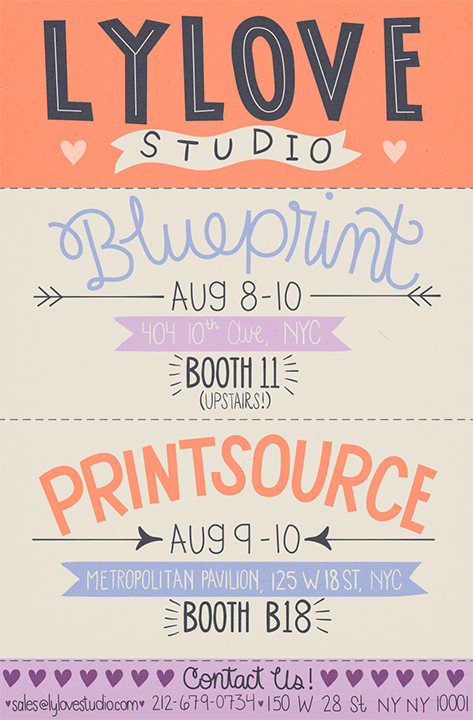 Lylove Studio : Lylove Studio will be showcasing our fall/winter 2017/2018 collection at BLUEPRINT and PRINTSOURCE next week! Lylove Studio will be showcasing our fall/winter 2017/2018 collection at BLUEPRINT and PRINTSOURCE next week! If you would like to schedule a pre-show appointment please contact Jen at sales@lylovestudio.com. See ya'll there! !